You should always follow your vet’s advice when it comes to how much Metacam to give your guinea pig. 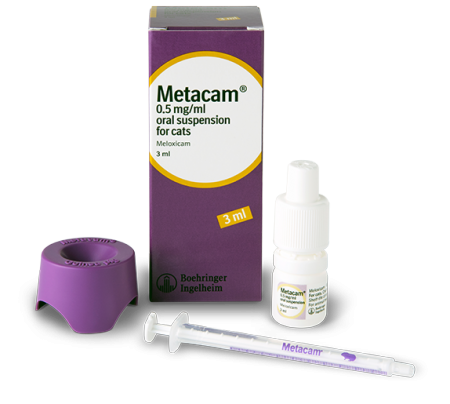 Metacam oral suspension can be given directly into your guinea pig’s mouth, making it very easy-to-give. The Metacam dosing dish & syringe is used to accurately control the dose of Metacam you give your guinea pig. You should always follow the dosage instructions given by your vet. Before giving Metacam to your guinea pig, you should give the bottle a shake. Next, remove the cap and turn the bottle upside down over the dish. Applying gentle pressure to the bottle, let enough drops fall into the dish to allow you to draw up the correct volume of Metacam required. Place the tip of the guinea pig dosing syringe into the dish and draw up the volume of Metacam prescribed by your vet. TIP: To avoid drawing up air, tilt the syringe slightly and ensure that the tip stays submerged in the Metacam suspension. Gently pull the plunger out of the syringe until the black line is aligned with the dose that your vet has prescribed. It is important not to allow air to enter the syringe as this will give you an inaccurate reading. If air does accidentally enter the syringe simply return the contents back into the dosing dish by gently pressing the plunger and try again. Once you have drawn up the correct dose, gently and slowly empty the solution directly into the side of your guinea pig’s mouth. Rinse the dosing dish and syringe with water and dry prior to the next use. Remember to always follow your vet’s recommendations and if you have any concerns about your guinea pig whilst they are recovering from surgery you should contact them for advice.